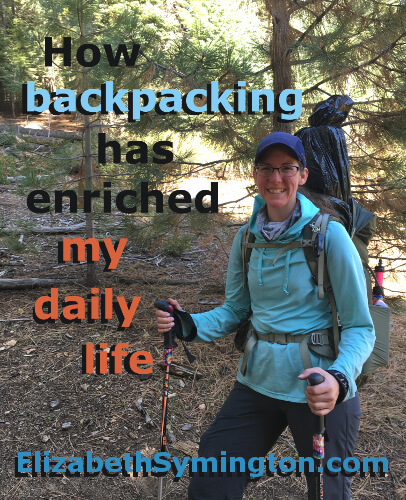 This is Day 22 of the 31 day series on “How backpacking has enriched my daily life.” I expected lightweight backpacking to be a hobby. Instead it has transformed me for the better. My boyfriend’s happy place is REI. By spending so much time at REI it has made me less intimidated by shopping there and at other high end stores. Some of my favorite dates with my boyfriend, Gear Head, were in Fresno, CA. We’d spend hours in REI just looking at everything in the store. Our personal record was four hours! It wasn’t until the shift change that we were aware that we’d been there for so long. When I’m shopping I no longer go solely off of recommendations or just my research. 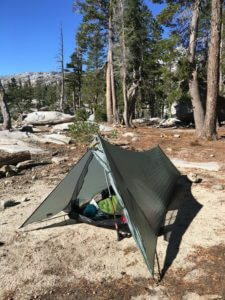 Like when I was shopping for a tent, I wrote down exactly what I was looking for, which was a quality made, two pound, 1 man, trekking pole supported tent, made in the USA, it has great reviews, under $300, and that isn’t a bright, obnoxious color. From there I looked up what features and materials were out there for tents. That’s when I learned about the difference between a single wall and a double wall tent, giving me an idea of which one would suit me better. I then learned tent jargon, like free-standing tent and waterproof bathtub. Thankfully one tent maker rose to the top, TarpTent, so I didn’t feel the need to compare tents in person. Instead I drove up the road to Nevada City, CA and I bought the ProTrail tent directly from Henry Shires himself. That was a really special day! Even though I prefer the way I shop now, had I started off with spending so much time researching and reading reviews, I would never gotten into backpacking. I get overwhelmed buying gear when there are lots of options, especially when it’s all new to me and expensive. Thank you Gear Head and REI for making it easy to get into backpacking. I’ve had so much fun and I’m sure there will be more shenanigans. For the entire month of October I’ll be daily posting about, “How backpacking has enriched my daily life.” Go here to see the Table of Contents. Day 23 – I Found My Happy Place, Have You?